Pierre Adam Omanga (born April 10, 1988 in Paris, France) is a French footballer. 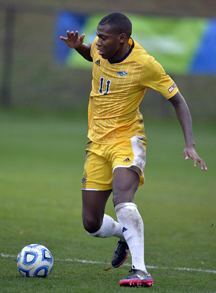 Omanga played college soccer at the University of Montevallo in 2012 and Southern New Hampshire University in 2013. During his college years Omanga also played for GPS Portland Phoenix in the USL Premier Development League. On January 21, 2014, Omanga was drafted in the third round (50th overall) of the 2014 MLS SuperDraft by New England Revolution. Omanga signed with New England's USL Pro affiliate Rochester Rhinos in March 2014. He went on to make his professional debut on August 3, 2014 in a 0-0 draw with Orlando City. In May 2015 Omanga was signed by the Finnish side FC Jazz.